I am a bit of a last minute planner, especially when it comes to holiday meals, but this year I have most of my Valentine's dinner planned ahead of time! I owe it to a trip to Costco the resulted in the purchase of heart shaped ravioli. These strawberry brownies could finish off the meal nicely with the help of a heart shaped cookie cutter. I will probably have to give them a test run before just to taste how yummy they are! 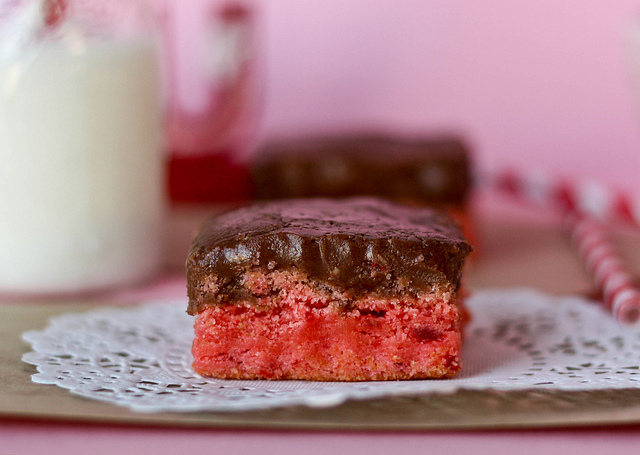 You can get the chocolate strawberry brownie recipe over at Confessions of a Cookbook Queen. Hungry... I'm very very hungry right now and I should not be looking at your blog, lol!